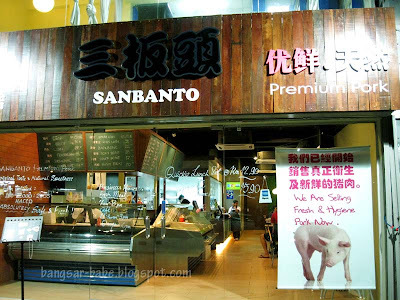 Sanbanto, is one of the latest additions to the restaurants in SS2 that serves premium pork dishes at a supposedly affordable price. The place also doubles up as a mini butcher, selling different cuts of pork (properly packed) at the front of the shop. The outlet is small, with minimal decor and an open kitchen concept. It is advisable to reserve a place before going, as the tables and chairs are very limited. I made a trip there with Becky recently, and we dragged rif and Unka along. 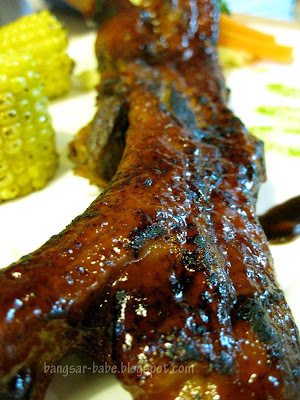 The BBQ pork rib (RM38), whose meat pulls free with a gentle resistance, was fatty and fork tender. 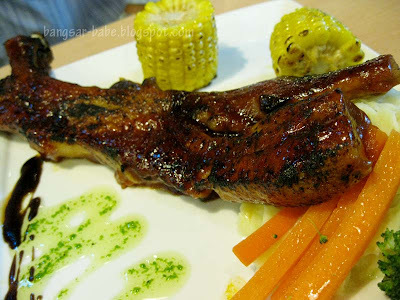 It was grilled with BBQ sauce, resulting in a lovely caramelised exterior and a nice char. Sadly, the BBQ flavour was limited to the exterior of the rib; the meat on the inside was not flavoured with the smoky marinade. The mashed potato was very gluey, it felt as though I was eating starch. I didn’t care much for the grilled corn, but it tasted alright. 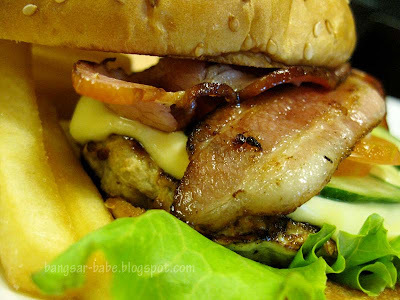 Sanbanto Bacon N Cheese Burger (RM17) was smallish, and consisted of a pork patty, topped with a slice of cheese and crisp slices of pork bacon. It came with a side of chunky fries and a salad. 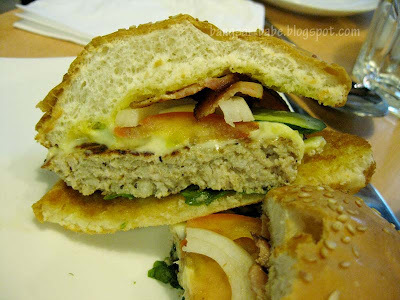 Good thing the bacon played a salty counterpart to the burger, as I found the patty bland, dry and too processed. 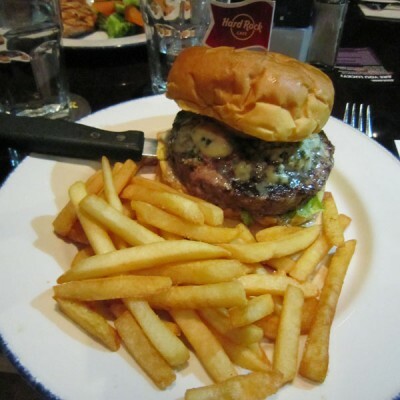 I reckon they used cheap burger buns, which didn’t do a good job in holding the burger together. I don’t like buns that break into holes at the slightest press of the finger. 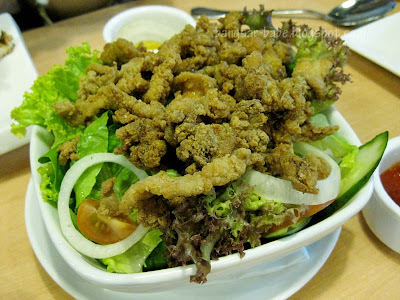 The pork belly salad (RM13) sounded yummy, but truth be told, it was nothing spectacular. I found it carelessly prepared — the pork belly slices were merely plonked on top of the greens. Taste wise, the pork belly was nice and crispy, but the greens in tangy honey mustard dressing were very ordinary. 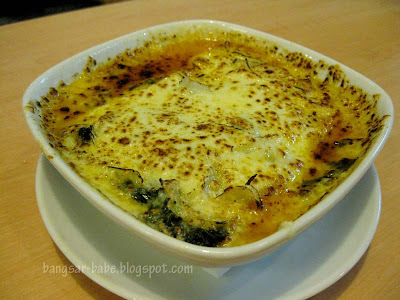 Some of the dishes required 20-25 minutes to prepare, including the Spinach Lasagna (RM21). Have you ever received a present that was beautifully wrapped and adorned with lovely silk ribbons, only to find a cheapo photo-frame or an incredibly ugly mug bought from a garage sale or a recycled gift? 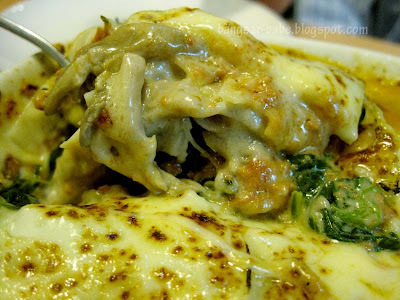 The spinach lasagna was exactly like that — really ‘potong steam’. From the menu, the description sounded deliciously promising, but it turned out to be a horrible letdown. The presence of minced pork in the filling was barely noticable, and the whole dish was terribly under-seasoned. The oyster mushrooms were of no help; in fact, I think it made the dish worse. On a whole, I find Sanbanto overrated. While prices are reasonable, the food isn’t good enough to justify the hoo-haa. However, it might have been a bad day for them, as many people who ate there raved about the food. Verdict: Mediocre food, average pricing. The pork rib is decent, but the rest are a no-go for me. yeah the lasagna still looked very promising despite the description..
this,and the buono sera in SS2 have been making rounds in the blogosphere. and I thought this is gonna be something ground breaking, complete with a butchery at the front portion. thanks for the verdict. was about to try this place..
ps – Thank goodness, pork aplenty here in Hungary! Yar, could be an off day for them. Have yet to try the food there, though. J2Kfm – Nah…nothing to shout about. 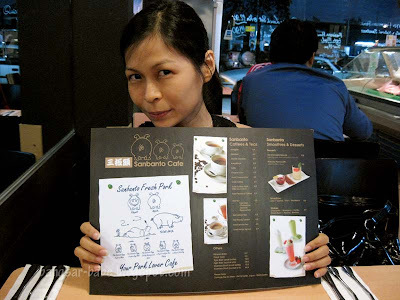 kampungboycitygal – Yup…the food was disappointing. Joe – I won't eat that again. That was the worst of the lot. I went to try it. maybe they were just having an off day while u were there. Either that, or my expectations are pretty low. Then again, it's in SS2. There should never be offdays for restaurants because you're paying good money to eat good food. And I think it's rather elitist to say, "Then again, it's in SS2." 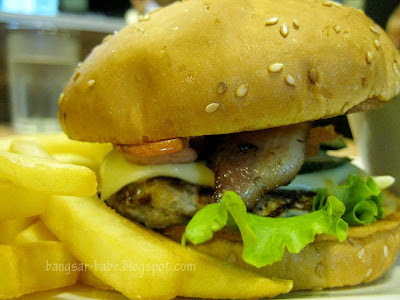 Because good food can be found everywhere (if you know where to look), whether you're in Rome, Hong Kong, Timbuktu or SS2. Service is bad. Staff is rude. Tried to buy some fresh pork too. Got scolded for asking them to cut up for me.